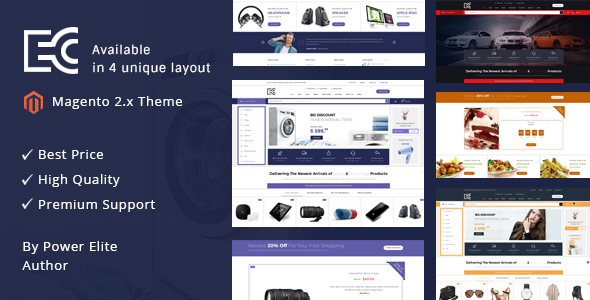 eCode Magento v2 Responsive Theme is specially designed for electronics, automation, digital, lighting, autoparts, car, clothes, furniture, tools, food, automation, garden and fashion store. eCode Magento Theme is looking good with colors combination and layout. All sub pages are customized. It is very nice with its clean and professional look. Fixed some miscellaneous CSS bug.